Frank Lucas, a fifth generation Oklahoman, is the Republican Representative for the third Congressional district of Oklahoma. Frank Lucas was born in 1960 in Cheyenne, Oklahoma, where his family has both lived as well as farmed for over a century. This has been the inspiration for much of what he’s done in his life. He received his undergraduate degree of Agricultural Economics from Oklahoma State University in 1982. Rather than continuing his education, two years after graduating he ran a campaign for the Oklahoma State House of Representatives. While Frank Lucas did not win, he ran again in 1986 as well as 1988, where his last campaign won him the position. It was here that he began to create his reputation for fighting on behalf of private property owners as well as taking an active role in the agricultural issues. Six years later, Frank Lucas ran for a seat in the United State House of Representatives in a special election, where he was elected as the representative for Oklahoma’s third congressional district. This district includes 32 counties and is the largest in the state of Oklahoma. This district is also one of the most agriculturally active areas in the country. While representing this district in the United States Congress, Frank Lucas has made an active effort to fight for agricultural issues as well as the American farmer. He also serves on the House Committee on Agriculture as the chairman. This committee oversees the United States Department of Agriculture as well as other programs and agencies run by the USDA. These include programs such as Disaster Assistance, the Conservation Reserve Program, Livestock Compensation, Crop Insurance, and Rural Development. Furthermore, the committee also oversees the actions of the Commodities Futures Trading Commission as well as the Food and Drug Administration. Frank Lucas also serves on the House Committee on Financial Services along with the House Committee on Science and Technology. Specifically, he is a member of the Capital Markets and Government Sponsored Enterprises Subcommittee, the Domestic Monetary Policy and Technology Subcommittee, the Space and Aeronautics Subcommittee, and the Energy and Environment Subcommittee. Some of Frank Lucas’s more influential measures have been acting as a conferee on the 2002 as well as 2008 Farm bills, securing increases in bills like the Conservation Reserve program and the Environmental Quality Incentive Programs as well as fighting for provisions for renewable energy in the farm bills. Frank Lucas has been widely recognized by different agricultural organizations for his support and work in the field. 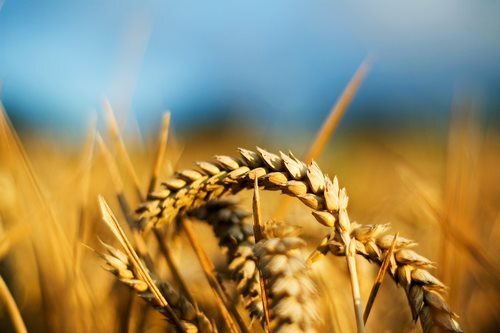 He has received multiple awards from the American Farm Bureau Federation as well as recognition from the National farmers Union and the Oklahoma Wheat Commission.